Making things happen requires vision and leadership. As opposed to managers, who focus on task accomplishment, leaders strive to inspire action and innovation. They’re people who detest complacency and always try to tackle the status quo. The weight of leadership traits and styles changed through the course of history. What worked for Hernan Cortez, the conquistador and founder of New Spain, doesn’t necessarily drive Ginni Rometty, the first woman president of technology giant, IBM. To conquer Montezuma, Cortez resorted to confrontation, force of authority and help from La Malinche, a former prisoner, who became his Malay mistress, translator and mediator. Rometty, on the other hand, exhibited diligence in her hard work, along with a vast understanding of cloud computing – a fundamental innovation at IBM at the time she became CEO. Simon Sinek is an author, speaker and creator of the “golden circle of human motivation” (link no longer available) concept. By focusing on why we take action, instead of what’s the action’s result, we are able to inspire and take lead both in business and life. He proves that most of people know what they do, but don’t know why. It’s the leader’s role to emphasize it and directly guide his staff towards common goals. Pete Cashmore, age 26, founder and head editor of mashable.com was put on the Time’s 100 Most Influentual People of the World list for good reason. He started Mashable.com in his bedroom in Scotland at the young age of 19, because he wanted a voice in the discussion on modern technology changes. Today it’s the voice of millions. Pete’s Twitter feed @mashable has 19 million followers, which proves how big of an influence he really has and how social media impacts publicity. Dr. Martin Luther King Jr. helped the civil rights movement because he wasn’t afraid of voicing the opinions of those who were too afraid to speak. Reagrdless of the size of the group, be it a large community or a small team, they both require outspoken leadership and the attitude to follow and accomplish the common goal. All I’m saying is simply this, that all life is interrelated, that somehow we’re caught in an inescapable network of mutuality tied in a single garment of destiny. Whatever affects one directly affects all indirectly. For some strange reason, I can never be what I ought to be until you are what you ought to be. You can never be what you ought to be until I am what I ought to be. This is the interrelated structure of reality. —Dr. Martin Luther King Jr.
Let’s face it, traditional models of leadership are obscure. Naturalistic concepts of God given authority are no longer applicable. Outdated, functional models where the boss orders and employee delivers seem pretentious and childish. Autocratism works well in the army, whereas consensus and participation should be the goal of top business decision makers, for example board members. However it won’t work in a call center. Leader training, according to MindFlash (link no longer available) should be focused on developing those skills which managers lack. This infographic showcases the numbers. 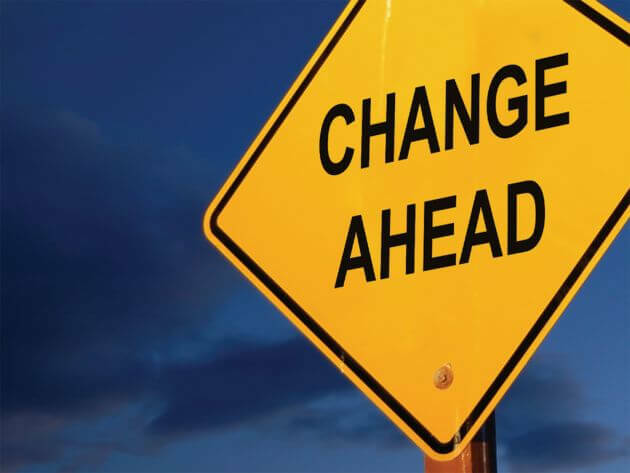 A fresh and useful concept is a mix of situational and transactional leadership. Optimal for leading skilled staff, it combines classic Laissez-faire with a firm understanding on how tasks are to be executed. By delegating responsibility downward, avoiding micromanagement, and treating each task as a transaction between leader and executor, you can create an ambition driven environment, in which both employees and business’ thrive. We’re aiming for a combination of command and collaborate rhetoric. On one hand there’s Jeff Bezos, Founder of Amazon and father of modern e commerce. Known for being overly controlling, Bezos also said to be a libertarian. This false contradiction led him to an enormous success because he refused to put any charges on vendors trading on Amazon. What he believed in, and enforced upon his peers, resulted in a revolution in the online retail market, making online sales something that comes naturally. 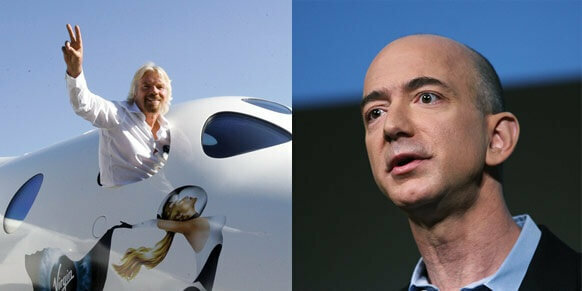 Richard Branson (left) and Jeff Bezos (right). Different styles, same vision. On the other hand we have Richard Branson, self-made billionaire, owner or the Virgin Group and it’s subsidiaries, ranging from phonography studios, airlines and cable TV to space lifts. He started out young, simply by printing a magazine, to quickly create a major record label, which he signed with Mike Oldfield (who actually is a prime example of leader and innovator in music). From this point on, the number of his ventures rose in blinding speed. His natural talent for consensus along with the urge to push limits and break world records, in both business and extreme sports, made him a celebrity and an icon for today’s wannabe entrepreneurs. Tim Cook, CEO of Apple, is the leader of beautiful electronics design, because he refuses to compromise and copy ideas of competitors. Sure, Android works on quad core processors, has turn-by-turn navigation and other do-dads that iOS cannot yet support. However it’s the attitude of inventors and game changers that matters here. People stay in line to get a new Apple device, whereas Android or BlackBerry releases pass unnoticed. Taking risks and living the vision is what true leaders crave for. To prosper, each business must find and nurture this talent because there is no progress without vision. How do you manage it and what’s your method to find leaders within your organisation? Blazej worked in support at LiveChat. In his posts, he shared knowledge about how to implement LiveChat and using its basic functionalities.